Sam Browning came to us last summer to train for his first triathlon ever, the Chicago Triathlon Olympic Distance race in August 2017. He quickly realized how much he loved the sport and joined the Elite team in December. 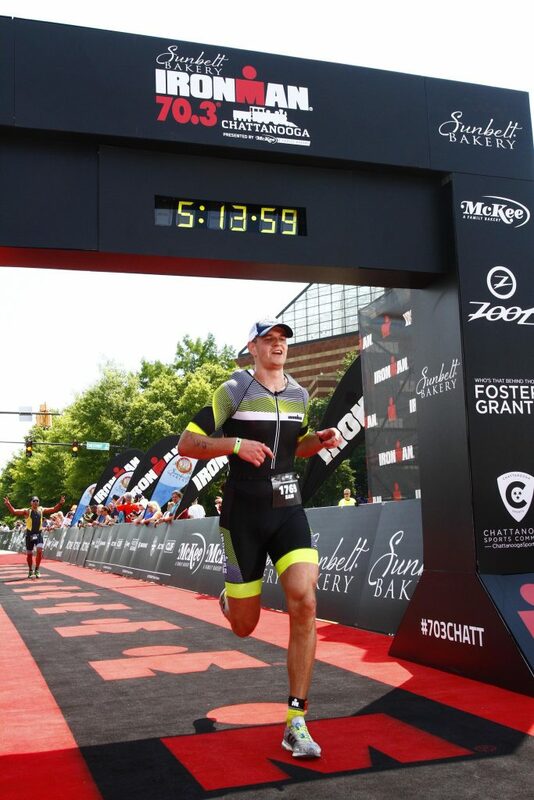 He has been training at altitude since February and in May raced his first Ironman 70.3 distance in Chattanooga. He said that based on his Olympic distance time, his goal time was around 5 hours and 30 minutes. Despite the 95 degree heat on race day, he finished in 4 hours and 51 minutes- nearly 40 MINUTES faster than he expected! He said he kept checking his bike computer expecting his heart rate to be much higher than it was because of how fast he was pacing during the bike and it stayed steady throughout.